Is the Zika Virus an Olympic-Sized Threat? With the 2016 Summer Games just a week away, a growing list of top-ranked athletes won’t be competing. Why? Concerns over the Zika virus. As of July, an estimated 26,000 cases of the Zika virus have been confirmed in Rio de Janeiro. And about 1,400 have been confirmed in the United States. Until July 29th when four Zika cases were diagnosed in Florida, cases in the United States were likely linked to travel outside the U.S., according to the Centers for Disease Control and Prevention. With concerns over the Zika virus spreading, at least 10 top-ranked athletes have canceled plans to participate in the Olympics to avoid possible exposure. How does a person get the virus? Bites from infected mosquitoes that are active during the daytime are the primary way that the Zika virus is spread. It may also be spread from an infected pregnant woman to her unborn child; through sexual transmission with an infected partner; and the CDC states there is a strong possibility it may be spread through blood transfusions. Where is the Zika virus now? The Zika virus is not new and has been around since the 1940s. Before 2015, according to the Centers of Disease Control and Prevention and the World Health Organization, outbreaks of Zika were largely in Africa, Southeast Asia and the Pacific Islands. Since 2015, outbreaks have occurred across the Caribbean and Latin America. With the upcoming Summer Olympics, media attention is focused on Zika virus outbreaks in Brazil. In the United States, 15 people have been recently diagnosed with the Zika virus, eliciting a CDC travel warning for the northern Miami area in Florida. While other cases in the United States were traced back to someone who traveled to an affected area, health officials believe that these cases originated from mosquito bites locally. 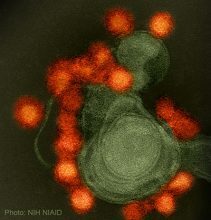 What are the effects of the virus? The signs and symptoms of the Zika virus may be unnoticeable or mild for many people who contract the virus. Symptoms may include fever, rash, muscle and joint pain, headache, red eyes, and feeling tired, according to the CDC and WHO. Symptoms typically last a few days to a week. Zika virus has also been linked to causing problems with a person’s neurological and auto-immune system. The greatest concern is the risk for pregnant women who contract the virus. Zika has been linked to an increased risk of the infected woman’s unborn baby developing serious birth defects such as microcephaly. Microcephaly is a condition that causes the child to have a small head size, putting the child at risk for a variety of complications including developmental difficulties. With the current Zika outbreak in Brazil, public health experts reported an increased incidence of both microcephaly and of Guillain-Barre syndrome in their population. Because increased cases of microcephaly were being discovered in areas affected by Zika, the WHO recently declared the virus a public health emergency of international concern. Using mosquito nets when sleeping outside. Interestingly, athletes from South Korea headed to the Olympics in Rio de Janeiro will be taking extra precautions. They will be wearing uniforms and clothing treated with mosquito repellant to further reduce their risk of contracting the Zika virus from mosquitos. If a person suspects exposure to the Zika virus and/or develops symptoms as described above, it is important to see a doctor for treatment recommendations.